Two G'huun kills in one day, with Limit's coming some 6 hours after Method's World First, it seems that lockout extension decision was indeed what cost the US guild the No.1 spot. We also got nerdscreams from both guilds for the entire raid, wipe counts from Method for the kill and more info! 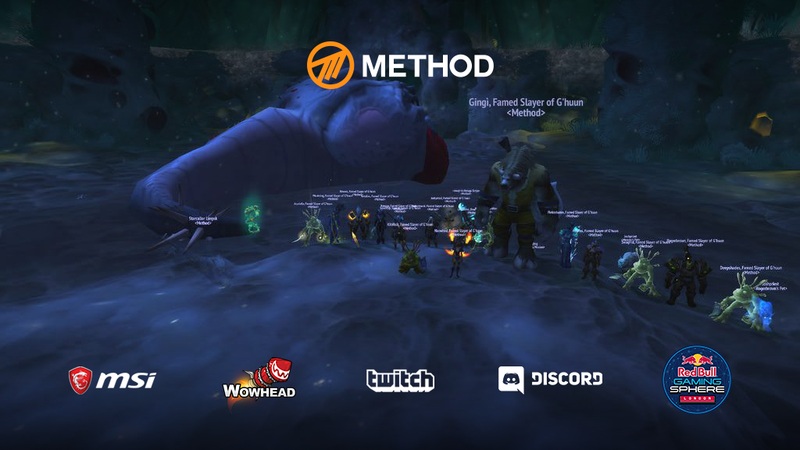 Yesterday was the highlight of the Uldir Mythic progress race, as we got our final World First and Method claimed their 10th trophy. It all came down to Limit's decision to extend their lockout, due to having sub 1% tries and feeling that Method was closing in on them and would get the kill on Tuesday while Limit were re-clearing. They bet wrong, as Method's best try was at 4% before the re-clear and Limit spent a whole day hitting their head against the G'huun wall after their reset, only getting new gear from the weekly Mythic+ chest, some Heroic kills and whatever M+ dungeons they could run. It simply wasn't enough and they remained on their best 1% try, aka the 639k HP one. They did push insanely hard on their reset day, raiding until 6 in the morning and just coming up short. Meanwhile the EU reset arrived and Method took quite a while to re-clear, taking around 7 hours to down 7/8 Mythic, as well as do a Heroic run. Fully geared up they immediately got their best try ever on G'huun, after 2 pulls, getting him down to 1.8%. It seemed all done at that point, as Limit were still sleeping and/or had to go to work, and Exorsus hadn't downed Mythrax after the reset. However, it took quite a while longer for Method to get that killing blow, as they struggled for just under 3 hours to get that 8/8. Considering how much farther along Limit were, the fact that they had more time on G'huun and the timing of their reset, it's almost 100% certain that they would have gotten the World First on Tuesday had they just re-cleared the raid. You should also read all of the recent tweets by @maximimwow, as he goes into a lot of the details of the race, including Limit's time commitments etc. So Fetid Devourer was almost the second hardest boss of the raid, with Mythrax coming in some 50 pulls later and G'huun properly being the endboss that he was supposed to be. The amount of pulls it took after the reset was around 20 or so (from memory) so the extra gear was key for everything, making it that much more impressive that Limit even managed to get a kill at all without that second reset's work of Mythic Uldir loot. In closing, we just want to congratulate both guilds on an amazing performance and thank Method for making it this entertaining to follow the race. The amount of tension and excitement in the final day of the race was so high thanks to the stream, and it can only get better from here as we potentially see both or even all guilds stream their progress live from now on. With Method's streams being the No.1 and 2 on all of Twitch and WoW being the top game for almost the entire time of streaming, as well as all the Method streams combined having a grand total of over 250 THOUSAND viewers, the raid progress race is one of the most watched WoW esport events ever and it's only going to get bigger in the future! 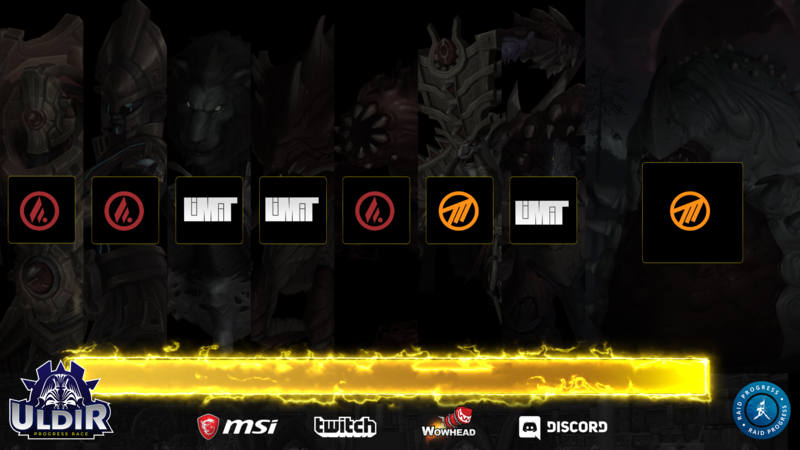 We'll continue covering the other G'huun kills as they come in, but we wanted to thank you for following our coverage and thank Method again for their live coverage as well as the streams. The next raid, Siege of Zuldazar, sounds like a bit of a departure from the usual ones, so the race will be extra interesting as well. Limit should have re-cleared. Hindsight is 20/20 but Method's best pull pre-reset was 4.8%. On G'huun that's a long way from a kill and there was no real way Method was going to down G'huun without more gear. Oh well. Maybe NA will get the next one. GG all! The Restless Cabal truly is restless as we get our second hotfix pass on the encounter in as many days. The rest of the hotfixes are a short list, as you'll be seeing Mindthief's Eldritch Clasp cooldown buff a lot less and Vol'dun regained a whole lot of Alpacas! Lost Alpacas have returned to the deserts of Vol'dun for players to wrangle in “Alpacas Gone Wild ” and “They Have Alpacas Here ”. Previous hotfixes. Vision of Perfection was one of the Essences announced for the new Heart of Azeroth system coming in 8.2, and it's been causing a bit of a stir because of how powerful it currently is on the PTR. Today we got an official comment on the matter, emphasizing that these early stages of the PTR are usually not well tuned and further clarifying exactly why this Essence is so powerful and offering some possible solutions. The Essence's minor power simply reduces the cooldown by a certain %, increases Versatility and heals you when the cooldown is activated, but the issue at hand is with the major one. The Essence's major power makes your spells and abilities get a chance to trigger your major spec cooldown ability (like Recklessness ) at a reduced effectiveness. The problem came with certain accompanying effects that trigger alongside the cooldown (like Azerite Powers, talents etc.) and the fact that they triggered at full power. The currently planed solution is to also reduce the effectiveness of those abilities to the same degree as the main cooldown, but that solution also has some exceptions. Thank you for all of the feedback on Vision of Perfection—it’s an idea we’re also very excited about. As always, the first iteration of new abilities on a PTR have tuning that is somewhat preliminary. That’s especially true for this ability, due to the complexity of the effect and the large number of interactions it has. Our goal is to make it an interesting choice among the other available Essences, while preserving the concept of it. For this and the other Essences, there will be ongoing tuning updates in the coming weeks. On the specific issue of interactions between Vision of Perfection and other effects that trigger from or buff your cooldowns: part of what makes this Essence exciting is the opportunity to explore things like that. At the same time, if they occur at full value every time Vision procs, that may be far too much. Our initial plan is that, as a standard approach, the added effects or bonuses should be reduced in value, in the same way that the cooldown itself is reduced in duration. For example, if Recklessness is proccing at 40% effectiveness, Reckless Abandon should also provide 40% of its normal Rage value. There are some cases where this doesn’t work because there’s no way to “scale down” an effect—Summon Infernal will either stun or not stun when it lands. We’ll have to handle those cases individually. You’ll see adjustments to this (and likely some other items) in a future build of the PTR. For more information about Essences and the new Heart of Azeroth system coming in 8.2 in general, check out our preview.